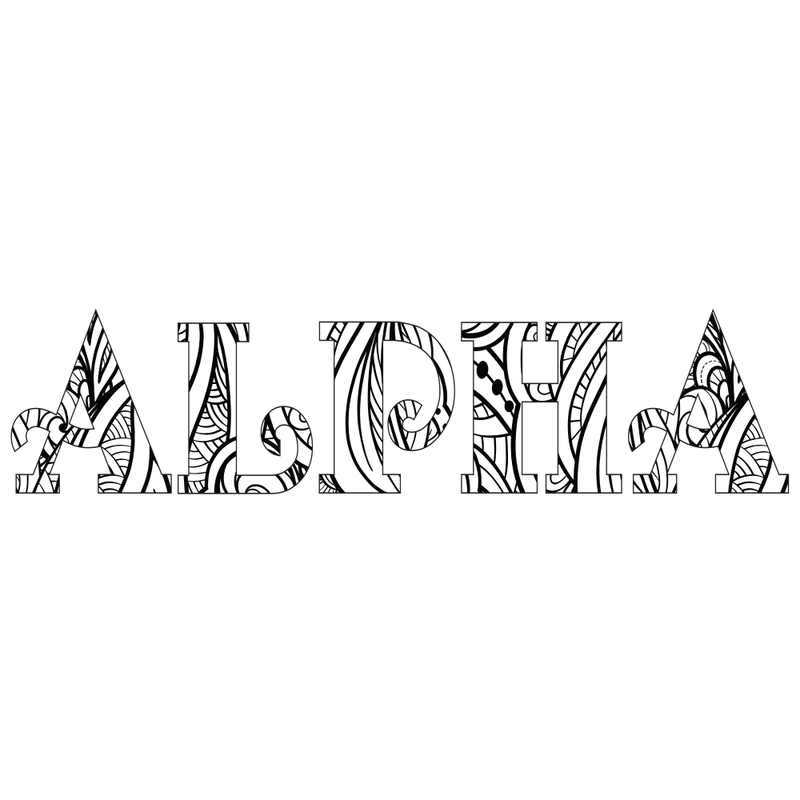 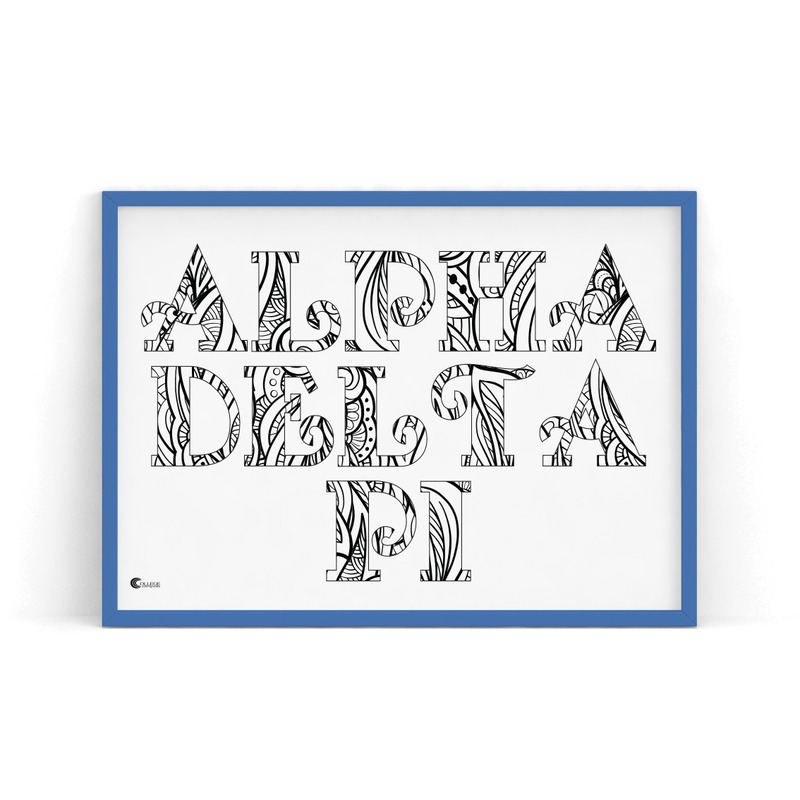 Decorate your room with this gorgeous giant Alpha Delta Pi coloring poster! 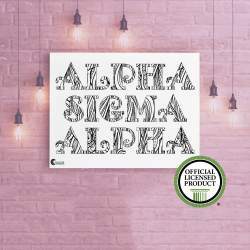 Your sorority’s name has been hand-crafted with a pattern of swirls and twirls. 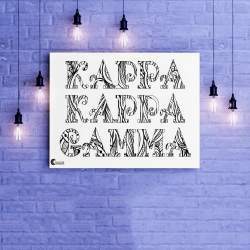 Use your favorite gel pens, colored pencils, markers, or watercolors to bring your sorority to life! 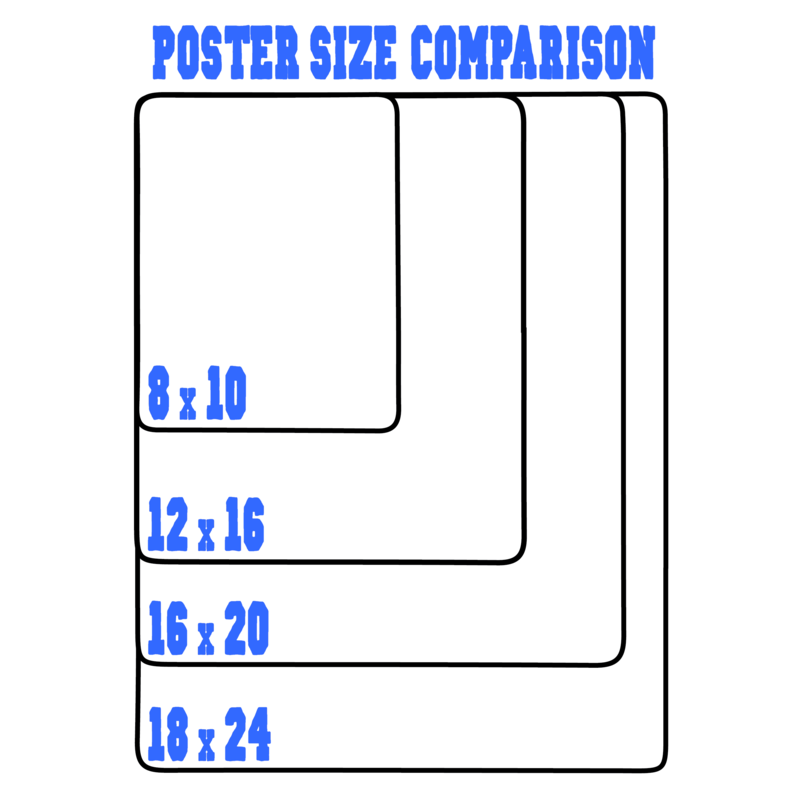 Or leave black & white and hang in a blue frame for a minimalist look.  All of College Coloring Books’ designs have been approved and licensed through Affinity Consultants. 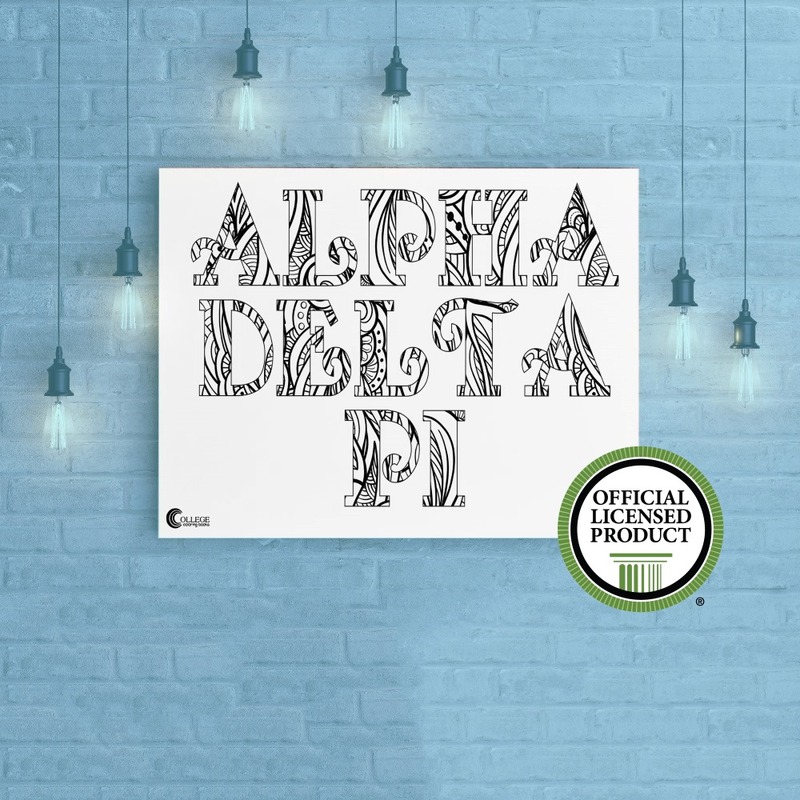 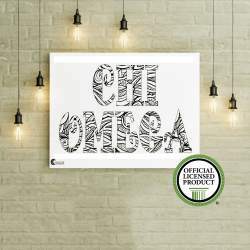 Royalties are paid to Alpha Delta Pi on all items sold.